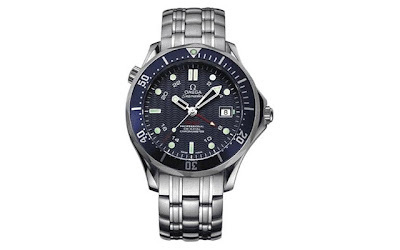 For more than a decade, my husband has been dreaming about owning a Men's Omega Seamaster Watch, one of the trademarks of the infamous James Bond. Every year around tax return time, I think about being able to buy this watch as a gift for my husband for Father's Day someday. I even look around for the best prices. This year, the Omega 2535.80.00 Seamaster 300M Automatic Chronometer Watch is selling for $3467.50 on Amazon. Then, like in past years, I think to myself that this is how much it would cost to completely refurnish one or two rooms in our house or plan a family vacation to Disney and is nearly the cost of breast implants. Yes, all of the above have been topics of discussion between my husband and myself. Although I will be buying some version of this watch for my husband someday, it will have to wait until we are in a position where second guessing the purchase will not be an issue. Buyer's remorse just takes all the enjoyment out of giving and receiving luxury gifts. There is one thing I have always wondered . . . if given a choice between this Omega watch for him and breast implants for me, which one would my husband choose?